Earn $13.99 in VIP credit (1399 points)What's This? The Pearl Izumi P.R.O. 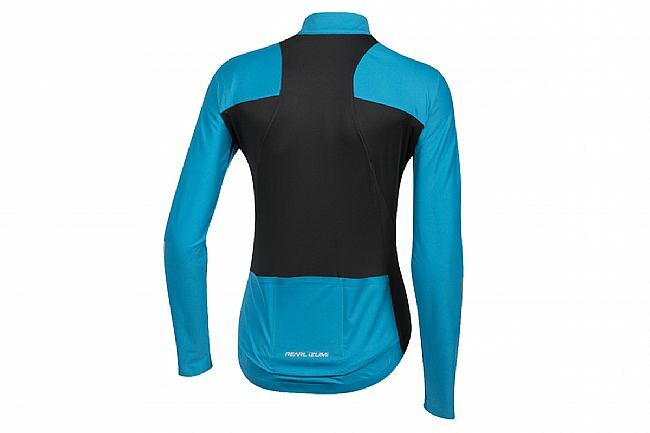 Pursuit LS Wind Jersey feels like a jersey but acts like a jacket, sure to make this versatile piece a favorite of every cyclist's wardrobe. Lightweight and minimal, Pearl Izumi's blend of fabrics provide wind and water protection where it's needed most, while the lightweight material on the back ensures optimal breathability. Stay warm on cold weather training rides while putting the heat on the rest of the group. The Women's version features a fit tailored for the female form in the cycling position, with a tapered waist and wider hips to ensure it won't ride up. Three rear pockets offer storage for all the riding essentials, while BioViz color options and reflective elements increase low-light visibility. 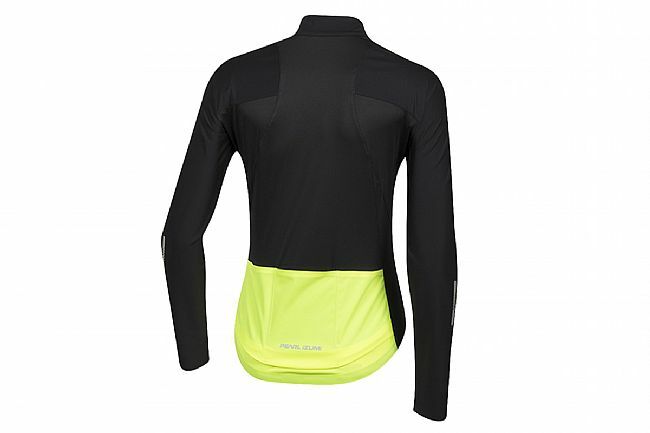 Softshell Lite fabric on front and sleeves provides stretchy, breathable wind and water protection. P.R.O. Transfer fabric on the back and sides delivers optimal moisture transfer, dry time, and cooling. Full-length Vislon® zipper for easy venting with top storm flap for added protection. Bonded sleeve cuffs and front hem minimizes bulk while on the bike and provides next to skin comfort. Elastic at waist holds the jersey in position.